Tell Sen. Daines to Co-Sponsor the Blackfoot Clearwater Stewardship Act! The fabled headwaters of the Big Blackfoot River are one step closer to being permanently protected for all Americans to enjoy in perpetuity. On March 2, 2017, Senator Jon Tester introduced the Blackfoot Clearwater Stewardship Act, a grassroots proposal hammered out by the Blackfoot Clearwater Stewardship Project (BCSP). The BCSP is a coalition of local loggers, ranchers, outfitters, conservationists, snowmobilers, business owners, and outdoor recreationists in the Ovando and Seeley Lake area. The Blackfoot Clearwater Stewardship Act will add 80,000 acres to the Bob Marshall, Scapegoat, and Mission Mountains Wilderness Areas and forever safeguard Grizzly Basin, Monture Creek, the North Fork of the Blackfoot River, and the West Fork of the Clearwater. Contact Senator Steve Daines and tell him to co-sponsor Senator Tester's Blackfoot Clearwater Stewardship Act, S.507, to permanently protect the headwaters of the Big Blackfoot River for all Americans to enjoy in perpetuity. Please co-sponsor Sen. Tester's Blackfoot Clearwater Stewardship Act! Senator Daines, the fabled headwaters of the Big Blackfoot River are one step closer to being permanently protected for all Americans to enjoy in perpetuity. 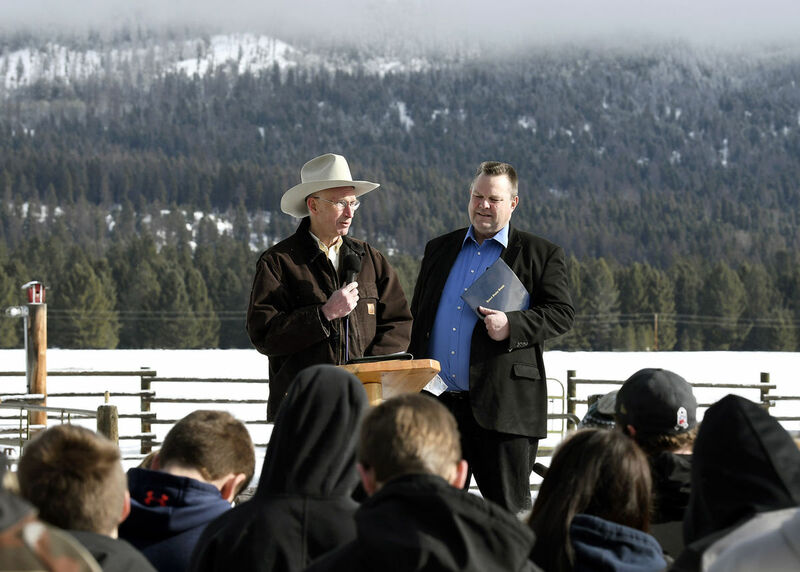 On March 2, 2017, Senator Jon Tester introduced the Blackfoot Clearwater Stewardship Act, a grassroots proposal hammered out by the Blackfoot Clearwater Stewardship Project (BCSP). The BCSP is a coalition of local loggers, ranchers, outfitters, conservationists, snowmobilers, business owners, and outdoor recreationists in the Ovando and Seeley Lake area. The Blackfoot Clearwater Stewardship Project promotes cooperative public-private stewardship across the southwestern Crown of the Continent. For this iconic part of Montana, that means restoring forests, promoting recreation opportunities, and forever protecting habitat for grizzly bears, westslope cutthroat trout, and the largest herd of mountain goats in the vicinity of the Bob Marshall Wilderness. This proposal includes legal and financial support for forest stewardship and restoration, permanent Congressional designations for 80,000 acres of agency-Recommended Wilderness on the Lolo National Forest, and expanded snowmobile and mountain bike opportunities between Seeley Lake and Lincoln. This has been eleven years in the making. After residents of Seeley Lake and Ovando took the gamble of working together rather than against each other, the Blackfoot Clearwater Stewardship Project is stronger than ever and has become the gold standard for collaborative efforts in the West. Senator Daines, please co-sponsor the Blackfoot Clearwater Stewardship Act with your colleague Senator Jon Tester. *You'll receive a call from 406-534-7383 that will provide you guidance on what to say to your officials, and then patch you through directly to them.